Vintage artwork. 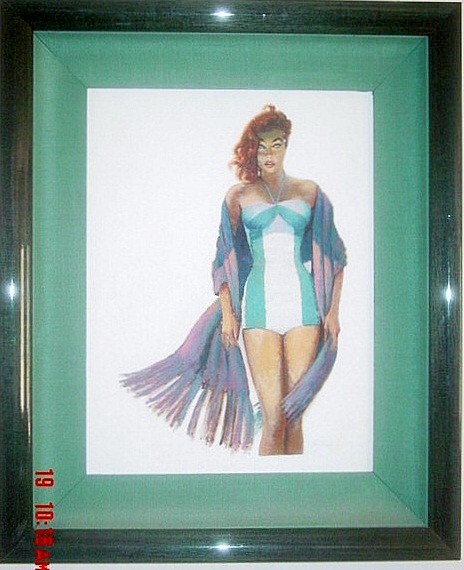 This is a Roy Besser painting of a cute redhead in a green and white one piece bathing suit. Mid-century artwork. Pin-up artwork.